Mississippi Association of Independent Schools Executive Director Shane Blanton delivered an inspirational and challenging message during a professional development day on campus January 6. Blanton emphasized that the success of schools depends upon good teachers, and he encouraged JA faculty and staff to “not grow weary of doing good” in providing the best education possible for their students. Blanton cited JA’s technology initiative as an example of embracing change. He also commented on the the leadership role Jackson Academy provides in independent education not only in Mississippi, but regionally and nationally, by embracing innovation and change, welcoming school site visits to assist other schools, and serving as good ambassadors of independent education through leadership and participation at conferences and in professional associations. 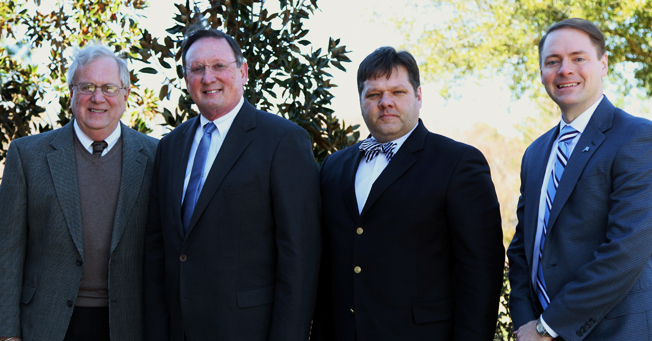 Blanton discussed the MAIS vision for independent schools including academic integrity, belief in and support of the independent school model, and a commitment to helping schools make connections that strengthen independent education in the state. The assembly in the PAC also included an informative update from JA leadership regarding current strategic plan progress. Faculty and staff were encouraged to provide input this semester for the next five-year strategic plan, which will enter the planning stage in the fall of 2014. Also that day, each JA division had a variety of meetings and activities to prepare for the new semester.